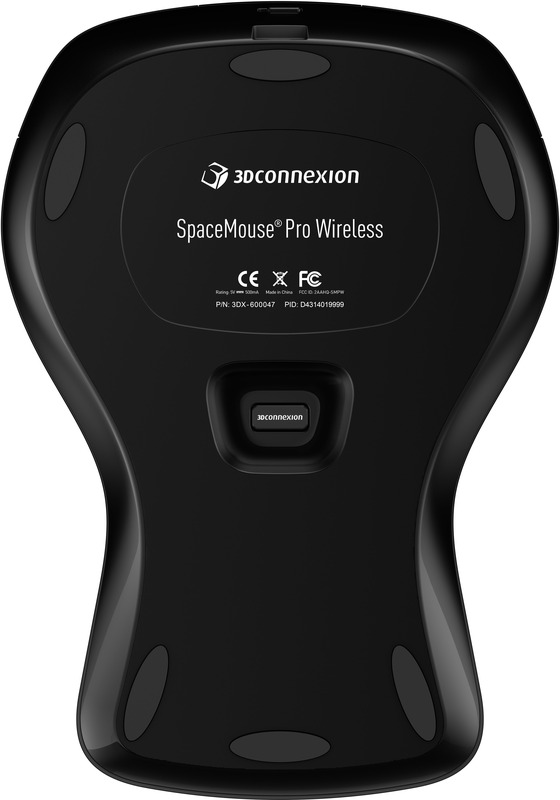 Today 3Dconnexion have announced their next product, the 3Dconnexion SpaceMouse® Pro Wireless. 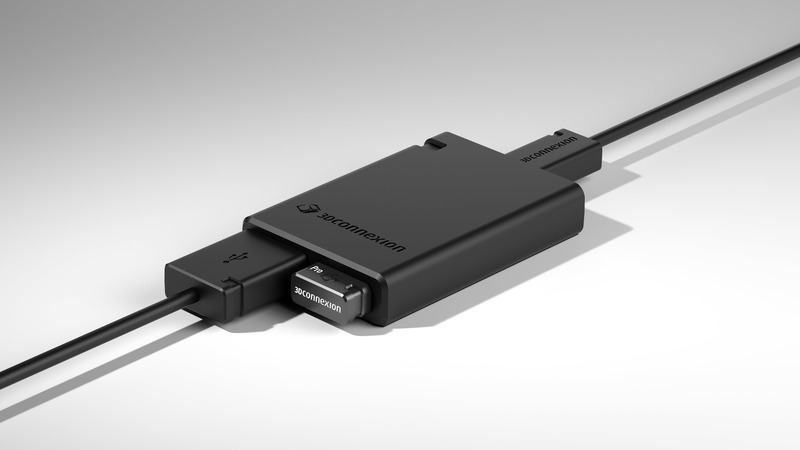 Following on from the 3Dconnexion SpaceMouse® Wireless last September, this product is a natural progression for the Professional series of 3Dconnexion hardware range. At first glance little has changed, but its the thought put in under the hood, with a nod towards user experience and flexibility which make this new product worthy. While the 3Dconnexion SpaceMouse Wireless was visually a completely new product, essentially replacing the 3Dconnexion SpaceNavigator. The SpaceMouse Pro Wireless is a logical evolution of what isn’t an old product anyway, however, 3Dconnexion clearly state in their press release that the SpaceMouse Pro Wireless is “all-new”. The all-new SpaceMouse Pro Wireless offers professional 3D performance without wires. 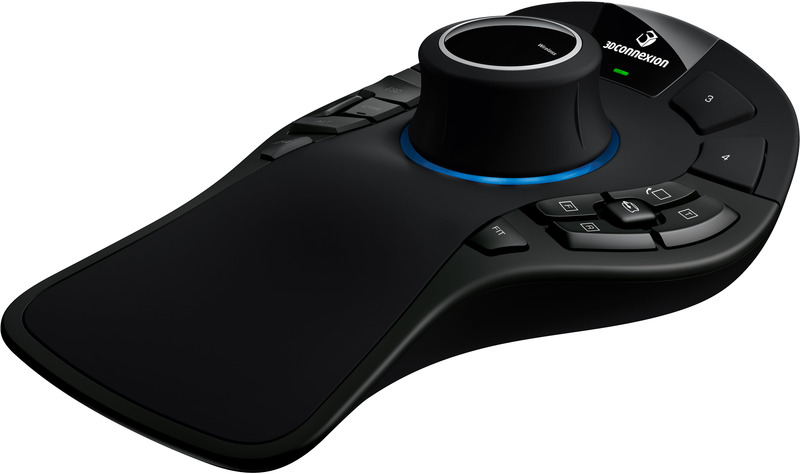 3Dconnexion is proud to announce the 3Dconnexion SpaceMouse Pro Wireless , the first wireless 3D mouse with a comprehensive selection of professional features. The SpaceMouse Pro Wireless puck design is basically the same with the exception of the silver ring, which is a feature of our Professional Series. Doubled the battery life by fitting a larger battery capable of two months of operation between charges (based on 8 hours per day, 5 days per week). Extended wireless range – in optimum conditions the SMPW will work up to 20 metres away from the USB receiver. Optimum generally means the USB receiver is placed in the supplied USB hub and placed on the desktop (i.e. not hidden / obstructed under the desk). Two extra items in the box. A nice Twin-port USB Hub and a 0.5m USB cable in addition to the standard 1.5m cable. The goal here is to give users flexibility in how / where they place the USB receiver and charge the product. USB receiver storage hole – on the underside of the product we created a slot for the USB receiver to be placed in when the user is taking the product from A to B. You can see this on one of the images (the USB receiver is shown inserted in the hole). Antonio Pascucci, vice president of products at 3Dconnexion. Complete Wireless Freedom — 3Dconnexion 2.4 GHz wireless technology for a real-time connection to your digital content and a two-month battery life. When it does need recharging, simply connect one of the supplied USB cables and continue working. Professional Performance — SpaceMouse Pro Wireless automatically recognizes your application and assigns commands to its four Intelligent Function Keys. Go one step further by assigning a four-section on-screen radial menu to any of the device’s 15 buttons—providing easy access to even more of your favorite commands. Keep Your Eyes On What Matters — SpaceMouse Pro Wireless’s On-Screen Display provides a convenient on-screen reminder of the commands assigned to its Intelligent Function Keys, allowing you to focus on your designs—not a keystroke cheat sheet. View Your Work From Every Angle — Detect errors, explore alternatives, and present your work more effectively for review with SpaceMouse Pro Wireless’s 6DoF navigation and QuickView Keys. Minimize Hand Movements —Conveniently positioned keyboard modifiers provide quick and easy access to Control, Shift, Alt and Esc functions, reducing the time you spend moving your hand to the keyboard. World-Class Ergonomics And Build Quality — The SpaceMouse Pro Wireless has a full size, soft-coated hand rest for maximum comfort. 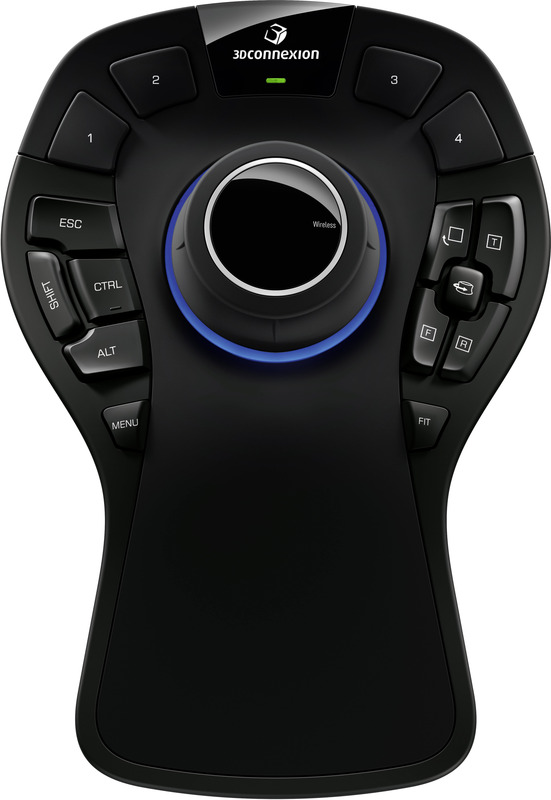 Each of its 15 tactile, fully programmable buttons are perfectly positioned for maximum efficiency. Furthermore, it’s packaged into an expert design built with the highest quality components. Flexible Connectivity — Either plug the USB receiver directly into your workstation or use the Twin-port USB Hub (included as standard). With a choice of two USB cables, it’s easy to connect and charge SpaceMouse Pro Wireless whatever your desktop setup. The 3Dconnexion Experience – 3DxWare® 10 allows you to customize and optimize your SpaceMouse Pro Wireless for peak performance. Easily tailor settings and buttons to your application and needs. Take advantage of exciting new features. Design, create and navigate in brave new ways. Are you ready to go pro? Click here to find out everything you need to know about SpaceMouse Pro Wireless today. SpaceMouse Pro Wireless will be available in early July. Check the 3Dconnexion website or local resellers for pricing. 3Dconnexion’s 3D mice revolutionize the way people interact with 3D applications, providing a more natural and intuitive way to interact with digital 3D content. 3Dconnexion 3D mice provide an intuitive, balanced and cooperative work style that results in increased productivity, improvements in creativity and enhanced comfort. Supported by today’s most popular and powerful 3D applications, 3Dconnexion’s award-winning 3D mice serve a wide variety of industries and are used by engineers, designers, architects and artists across the globe. Stay up-to-date with all the latest company and industry news via the 3Dconnexion blog, Facebook and Twitter.